When it comes to briefcases, there is no need to sacrifice function for fashion. Designed in a country famous for its rain, Brooks England, established in England in 1866, knows how to create durable, well-made briefcases that deftly combine comfort, good looks, and weatherproofing to ensure your briefcase and your precious contents inside arrive at your destination looking great no matter the weather. 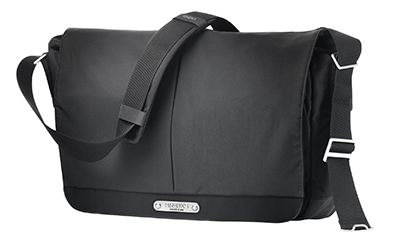 Designed for cyclists, the New Street Briefcase part of the Brooks Discovery Range bags makes a statement whether riding your bike or traveling by car, motorcycle, train, airplane, or yacht to your destination. Travel and the rigors of commuting can be especially hard on a briefcase, so when I was looking for a new briefcase for Edward, I wanted to find a briefcase that could face the challenge without sacrificing style for function. What I loved about the Brooks England New Street Briefcase was not only its good looks, but also its great range of features including durability and waterproofing. 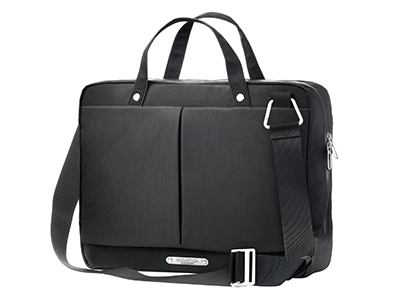 The briefcase also has lots of built-in interior pockets, a padded compartment designed to securely hold a laptop, as well as a zippered compartment to help keep the briefcase organized. A place for everything and everything in its place could be the New Street Briefcase's motto. 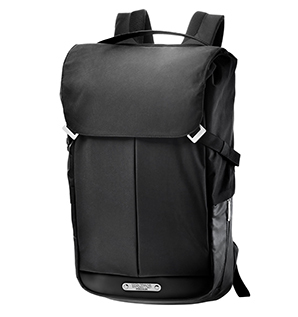 Made from Waterproof PU Coated Nylon 66 and Waterproof PU Coated Cordura, the New Street Briefcase has reflective details on the bag to ensure safety, and water repellent zippers from YKK Aquaguard Zips and aluminum hardware so that the bag can stand the test of time and all sorts of weather. With an eye to conservation and recycling, the interior lining uses CYCLEPET fabric made from 100% post-consumer PET bottles and features a whimsical horse and antique bicycle motif with a nod to Brooks England long history of riding. 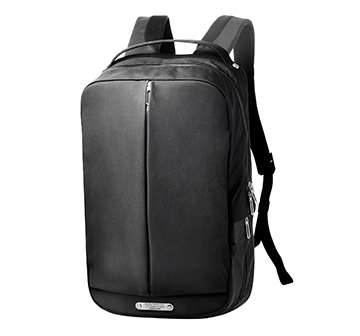 The exterior front of the bag has two hidden zippered compartments, perfect for holding items you need to access easily and quickly, making it perfect for travel. On the exterior back of the briefcase, there is a discrete Velcro trolley (rolling luggage) sleeve so that you can slip the briefcase over the handle of your rolling bag to make travel a cinch, and there is a removable shoulder bag and two sturdy hand grips. Designed for cyclists but used by everyone, the briefcase also comes with a KLICKfix Modular Rail Attachment that allows you to attach the briefcase to the rear rack of your bicycle. 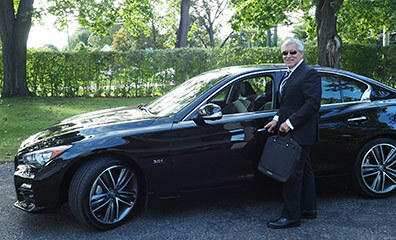 While Edward most likely will not be riding a bicycle while using his New Street Briefcase, he does like the look, feel, and practicality of it and will happily use it while commuting by car, airplane, and train. In addition to the New Street Briefcase, other bags in the Brooks Discovery Range collection include: The Sparkhill backpack, The Pitfield flap-close backpack, and The Strand Shoulder Bag, a messenger style bag. Whatever style suits you best, Brooks England has the right bag for you, where their motto is, "The Best in Riding Since 1866." They also make handmade leather saddles, backpacks, cycling bags, helmets, and accessories.